At the end of May, a High Court judge in London allowed 1,826 Zambian villagers to take legal action against mining giant Vedanta Resources Plc through the UK Courts. The villagers allege serious pollution by the company’s subsidiary Koncola Copper Mines (KCM) in Zambia. The decision came less than a week after our friends at independent activist group Foil Vedanta had disrupted the Jaipur Literary Festival events which took place at London’s South Bank. Controversy over the event continued after the protest. 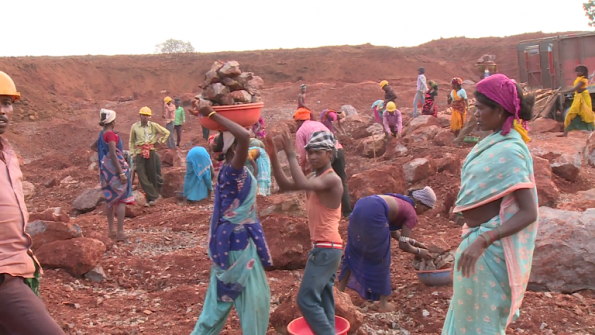 The Mines and Communities website has published a roundup of recent articles about the struggle against Vedanta at Niyamgiri and the company’s attempts to get its way despite massive local opposition. The company’s treatment of workers remains in the spotlight after Nostromo Research published damaging film footage of conditions at the company’s Bodai-Daldali mine in Chhattisgarh (shown in the photo above).